Barbara read Listening to People by Ralph G. Nichols and Leonard A. Stevens, a classic Harvard Business Review article, that explains the science behind why listening is so difficult. The article is dated by referring to memos instead of email, audiotapes instead of cell phones, typewriters instead of laptops, but the need for listening and how hard it is to do is just the same today as it was in 1957. It’s also long, but if you need proof that listening matters and an understanding of why its so challenging, this article is persuasive. Why is listening so difficult? People speak about 125 words a minute, but we have 13 billion brain cells that can process information much faster than that. 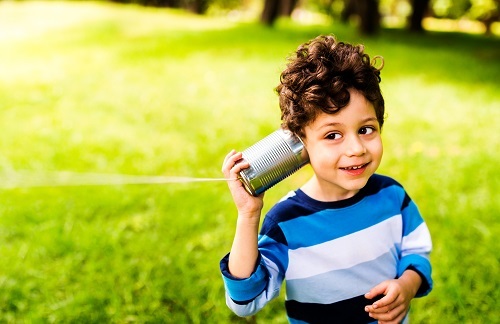 Our ears hear words but listening for understanding and connection requires enormous effort and energy because it is very hard to slow the brain down. To entertain ourselves, our minds wander to the grocery list, the need to pick up the dry cleaning, or who just annoyed us. Sometimes that irritating person is the one standing in front of us talking. We can usually get by with a couple of random mental excursions, but if we keep it up, we’ll probably lose the essence of what the person is saying. Once we are confused the “private mental sidetracks become more inviting than ever.” Asking the speaker to repeat him or herself wastes more of our time, so we often just go away and don’t get a problem solved. “A major task in helping people to listen better is teaching them to use their spare thinking time efficiently as they listen.” Knowing that your mind always wants to wander, the authors have four suggestions for what you let it wander to. I’ve put my reactions to their suggestions in italics. Try to guess what you think the speaker is going to say next. This one is tricky. It can be helpful if it forces you concentrate but harmful if you jump too far ahead and reach conclusions that are misguided or miss the essence of what the person is trying to tell you. Summarize the points of the talk as they are happening. I’d also add that after five minutes, if you are having trouble listening, ask the speaker if you can tell him / her what you understand so far to see if you are getting it correct. That way you put the onus on you rather than implying that they are unclear. Paraphrasing is a powerful way to make another person feel heard as long as you aren’t attached to your summary and let the other person correct you, as needed. “Pay attention to nonverbal communication (facial expressions, gestures, tone of voice)….Is the talker skirting some area of the subject? Why is he doing so?” The tone of voice and look on someone’s face give you valuable information about their true feelings. However, I think the authors may have a more cynical point of view about other people than I do. I try not to imagine that someone is “skirting” a subject unless all signs point to such behavior. If the situation allows it, take a few notes (but not too many or people feel like they're being graded) to help you keep paying attention, paraphrase what is being said, and keep your mind from veering off to unrelated topics. Focus on your breathing when you get impatient and remember that making another person feel heard is a great way to strengthen relationships and engender loyalty. You might call that manipulation. I just call it good communication. Some days it is easier to quiet the mind than others. If you are having difficulty, try one of these suggestions to help you keep listening to understand. I’d love to hear in the comments if any of them work for you.